Only dart aficionados can understand and relate to certain elements of a dart game. This understanding goes beyond scoring and also includes the equipment that is used for the play. Only dart aficionados understand why the following five topics are important. The weight and the shape of the darts can vary greatly and so do the shapes and flights. Only an aficionado knows the various types of darts and flights and what is best to use. Every kind of dart takes on a different behaviour during the play. Therefore, it is important to try out different darts before making a purchase for a set. A dart aficionado also understands certain terms of the game. For example, “Game on” tells the players the match is now started. An ochie is the name for the throwing line and a leg shot means that a player has finished or won a leg. Game shot means that a match winning double has been hit whilst a bust means a player has scored over the score that is required. A double in is required before the commencement of scoring and a straight start means that no double is needed to begin a game. A ton is a score of 100+ points while a ton-forty is 140+points. A ton-eighty is translated to a maximum score or 180 points. Lovers of darts also know that a game always begins and ends with a handshake – a sign of the camaraderie and good sportsmanship that prevails before, during and after dart play. Teams of two players against each other – known as pairs or doubles. The game is played over a pre-agreed number of sections, each referred to as legs. The number of legs in a dart game are always an odd number, such as 1, 3, 5 or 7. Matches are based on the best of, say, 5 “legs.” Therefore, the first player or team to win 3 sections or legs wins the match. Whilst players throw alternately in a singles match, each pair in a doubles match throws alternately with each of the players in the respective pair throwing alternately as well. A “throw” is made up of 3 darts. If a player finishes a leg or a match in less than 3 darts, the remaining darts are not thrown. Matches usually begin from 501 in competitive play but can also begin from the scores of 301, 401, 701 or even 1001. The most common form of dart play is a straight start. That means that a team or player can start to score immediately after the first throw. The objective is to begin on a starting number and score down to zero as soon as possible. Darts that bounce off the board are not re-thrown. 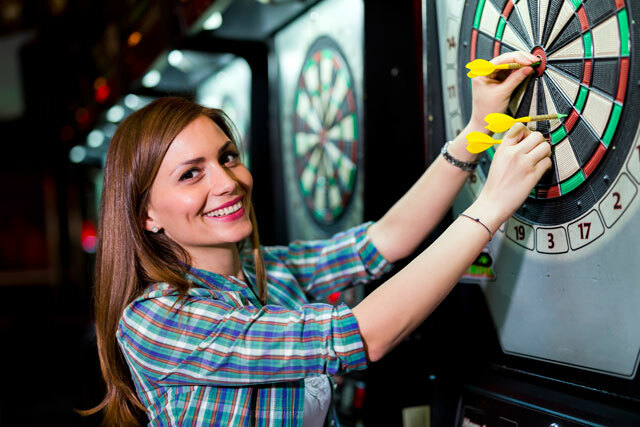 Dart players know that the difficulty in a dart game lies in the going-out or finish. To win, again, you have to reach zero before your opponent does, but you also have to reach precisely zero. That is why it is important to carefully review the darts for sale in Australia for tournament and leisure play. Review the information on the Bullseye Darts website for product information and further details. How Digital Transformation Has Advanced Private Taxi Hire Services?